Jill’s experience in the health field started with working in a variety of medical offices and graduating from Southeast Community College in Lincoln as a medical assistant. 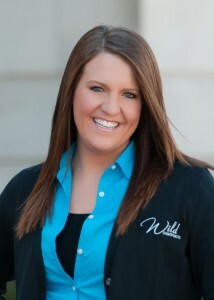 While Dr. Wild was in chiropractic college in Missouri, Jill managed two different chiropractic offices. She has had over 26 years of experience in the chiropractic field with patient care, insurance and attorney relations. In 2006, Jill completed the Nebraska radiology course to become a radiographer. 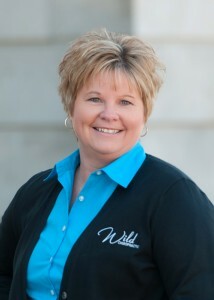 Lynn grew up in Seward and joined Wild Chiropractic in 2008. Lynn greets the patients with a caring smile and positive attitude. She handles the insurance and the patient care. She received her radiolographic license so she can take x-rays in the state of Nebraska. In Lynn’s spare time, she enjoys cooking and baking and reading, she has been involved in many softball organizations, enjoys watching sports, loves spending time with a her granddaughter, family and friends. Lynn is a member of the Rock Lutheran church and active in Heartfelt Connections. Jessica joins our office after relocating to Seward in 2012. She is currently taking classes to receive her limited radiographic license with the state of Ne. Jessica’s prior experience is in nursing. At Wild Chiropractic she handles patients pre-examination and physiotherapies. Jessica recently got engaged to her high school sweetheart and is busy planning there wedding for 2015. Jessica also enjoys her spare time by playing with her English bulldog Bane, training for marathons and dirt track racing with her family and friends.